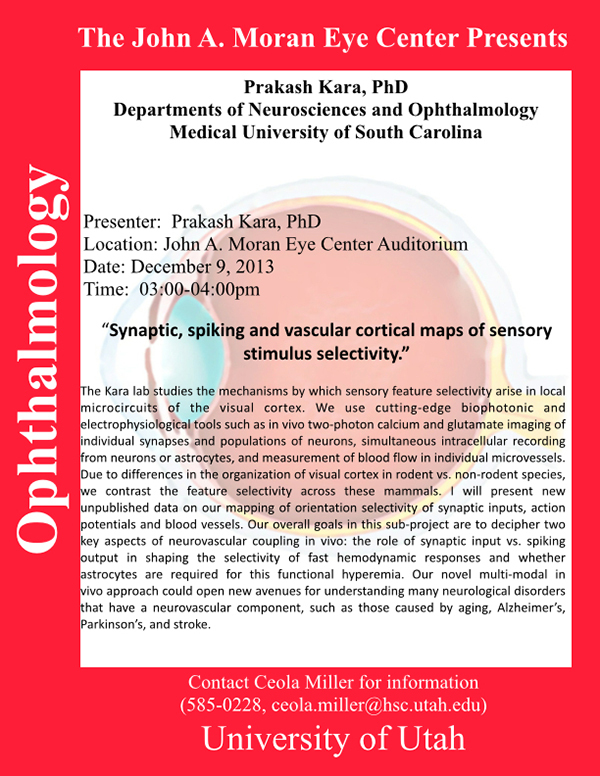 Prakash Kara, Associate Professor of Neurosciences and Ophthalmology at Medical University of South Carolina will be delivering a seminar, Synaptic, Spiking And Vascular Cortical Maps Of Sensory Stimulus Selectivity on December 9th, 2013 at 3:00pm in the John A. Moran Eye Center auditorium. The Kara lab studies the mechanisms by which sensory feature selectivity arise in local microcircuits of the visual cortex. 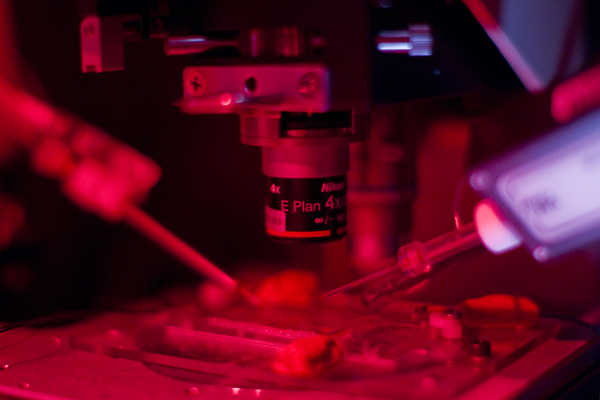 They use cutting-edge biophotonic and electrophysiological tools such as in vivo two-photon calcium and glutamate imaging of individual synapses and populations of neurons, simultaneous intracellular recording from neurons or astrocytes, and measurement of blood flow in individual microvessels. 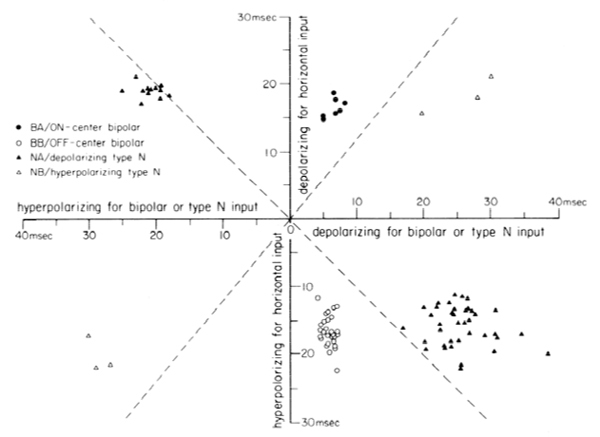 Due to differences in the organization of visual cortex in rodent vs. non-rodent species, they contrast the feature selectivity across these mammals. Dr. Kara will present new unpublished data on their mapping of orientation selectivity of synaptic inputs, action potentials and blood vessels. Their overall goals in this sub-project are to decipher two key aspects of neurovascular coupling in vivo: the role of synaptic input vs. spiking output in shaping the selectivity of fast hemodynamic responses and whether astrocytes are required for this functional hyperemia. Their novel multi-modal in vivo approach could open new avenues for understanding many neurological disorders that have a neurovascular component, such as those caused by aging, Alzheimer’s, Parkinson’s, and stroke. I’ve been doing some reading in plasticity recently and found this paper in the Journal of Neuroscience by Evan Vickers, Mean-Hwan Kim, Jozsef Vigh, and Henrique von Gersdorff published last summer that looks at short term plasticity in the Inner Plexiform Layer mediating light adaptation. Working in goldfish (Carassius auratus auratus) retina (an amazing retina), Vickers et. al. 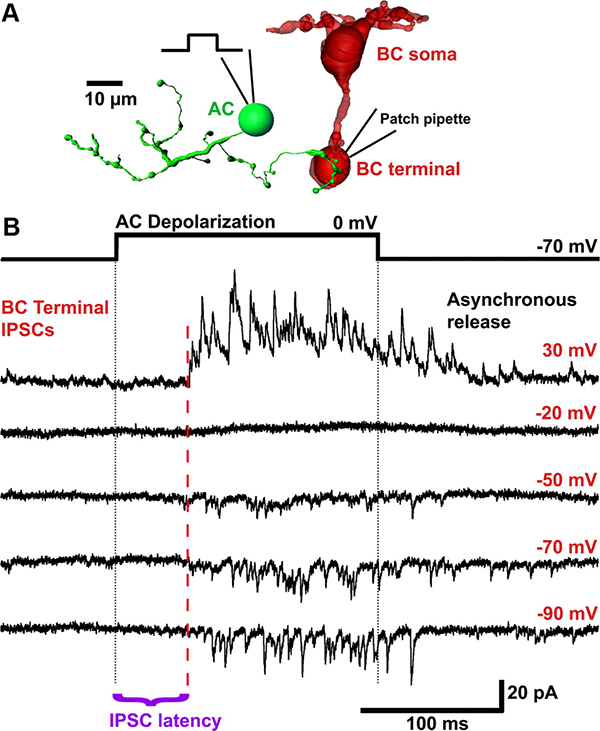 used patch clamp recordings on Mb bipolar cell terminals with paired-pulse light stimulation. The idea was to examine and quantify plasticity in GABAergic lateral IPSCs with findings that show variation in the synaptic strength and latencies which correspond to adaptation and sensitization to surround temporal contrast. The authors found that there are separate retinal circuitry pathways, each with differing mechanisms of plasticity that help to tune temporal response curves with glutamate release from ON bipolar cell terminals. They conclude that “Short-term plasticity of L-IPSCs may thus influence the strength, timing, and spatial extent of amacrine and ganglion cell inhibitory surrounds”. There are one, perhaps two positions for a Postdoctoral Research Associate in Retinal Electrophysiology in the laboratories of friends of Webvision, Dr. Maureen McCall and Dr. Ron Gregg at the University of Louisville (Ophthalmology & Biochemistry/Molecular Biology Departments). This is the second paper in the category, 100 Papers You Should Read (in vision science). This is the first entry in the category, 100 Papers You Should Read (in vision science). It is a concept borrowed from Robert Marc in a series of lab meetings he held. Those lab meetings were so valuable in contextualizing current understanding of vision science that we would like to share some of the papers discussed in them with you. There will be a new manuscript posted here every two weeks in the hopes of generating discussion and helping to show where we have come from in vision science.